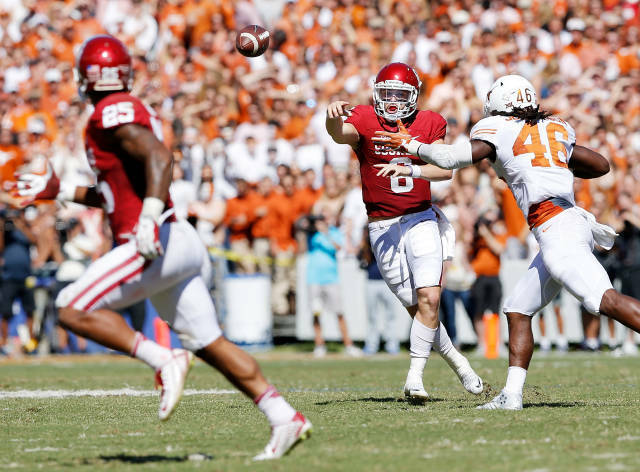 The Oklahoma-Texas Red River Rivalry drew a 2.0 overnight rating on FS1 (a 2.0 overnight = 2% of the TV households in the largest 56 Nielsen markets) down 46% from the 3.7 overnight rating the game drew last year on ABC, and the lowest national telecast dating back to at least 2006. (More at SportsTVRatings) NOTE: The 2.0 ratings represents roughly 2.8 million viewers. Locally in the Oklahoma City market, the game drew a 19.1 rating.